Our 200th set has gone HUGE! This set was designed for the Beyond the Wall and Other Adventures RPG (http://www.rpgnow.com/product/113405/Be ... Adventures) and features 70 archetypes from the published playbooks, 10 villagers and 20 monsters. They are scaled oversize as this game is often played with children, but it would be very easy indeed to rescale them to our standard size. 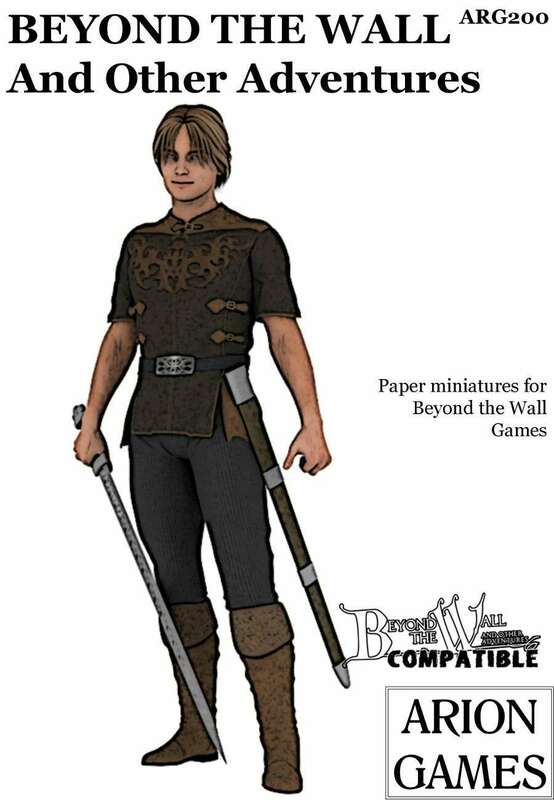 It will be a nice addition to the individual Playbooks to be able to immediately be able to hand out fitting custom paper minis in both genders. To also have the standard monsters and NPCs in the Playsets covered as well in a single file is just the icing. I think that the idea of releasing dedicated paper minis for a specific setting or even for a specific adventure module is great synergy! I hope you will be able to do it with more of your own settings and adventures as well.